Seniors residing in District 6 at home - comfortable, connected, empowered and safe. 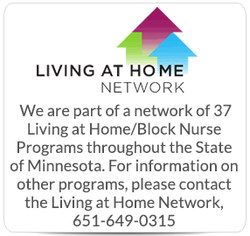 The North End-South Como Block Nurse Program is a non-profit neighbor helping neighbor program that utilizes volunteer and professional staff to help seniors remain safely in their homes with an enhanced quality of life. 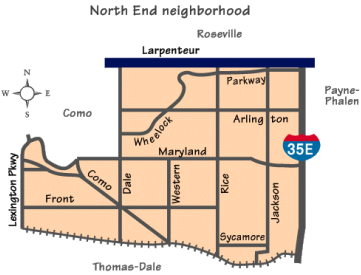 The North End-South Como neighborhood will be stronger because of the interconnections built by the North End-South Como Block Nurse Program and from efforts to build a stronger network of formal and informal services for seniors. Healthy older adults will have confidence that help will be there if needed; feel encouraged to promote their health and have opportunities for connections within the community. The North End-South Como Block Nurse Program started in 1987 by a wonderful group of concerned District 6 residents. Many of them had elderly neighbors or family members themselves and knew that this non-profit home care program was just what the neighborhood needed. Soon several volunteers were trained and ready to provide friendly visits or help with transportation. Nurses and home health aides were hired and seniors were getting the help they needed to remain in their homes. 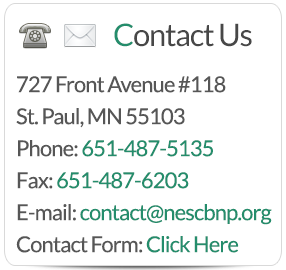 One of the true tests of how strongly these residents believed in the NE-SC Block Nurse Program is to know that many of them—for example Sally Roffers and Janice Rettman—are still involved and actively support the program 26 years later! 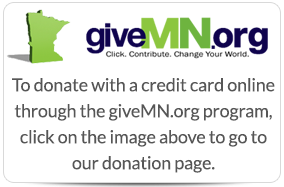 This caring, community way of helping our elderly remain at home has now spread to 13 - St. Paul and 4 - Minneapolis neighborhoods, supporting our elderly so they can remain in the community as its the right thing to do.